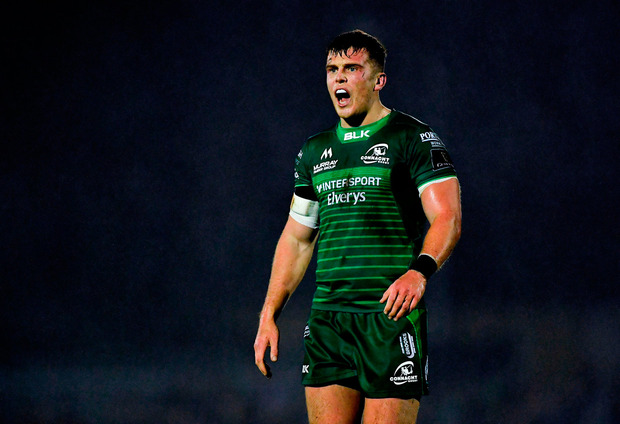 Connacht centre Tom Farrell says there is no magic formula in the turnaround in their fortunes this season and that new coach Andy Friend has just given them more confidence by doing the simple things well. Farrell has been in sparkling form all season and has racked up three tries to date. After another strong showing alongside Bundee Aki in the win over Ulster, he is excited about facing Munster this Saturday at the Sportsground. The last-gasp loss to Leinster at the RDS may have knocked the stuffing out of Connacht for a couple of days around Christmas, but a second win of the season over Ulster has them right in contention in the Guinness PRO14. "We're in a good place, the win over Ulster was huge after last weekend, not getting four or five points, so we needed a massive performance," said Farrell. "And fair play to the crowd - every time we play in these fixtures at the Sportsground they give us that extra spark in the vital moments. When we're in those clinical areas on the pitch they play a huge role in those tries." Farrell arrived at the Sportsground in the final months of Pat Lam's reign in Galway, but he was a key member of the team last season in Kieran Keane's one-year stint as head coach. It proved a difficult season for everyone in the Sportsground, but Farrell is impressed at how Friend has lifted spirits, even though he has not changed too much. "The confidence probably wasn't there, like Friend said. We probably didn't have the clarity of what we should be doing in certain aspects of the pitch. "This year it's just a bit more clarity and it's probably simplified a lot more. The boys are more comfortable with what they should be doing and where they are on the pitch. "Friendy would admit he hasn't come in and changed a whole lot. Probably from this time last year to now we probably had more time to grow our game, under Nigel (Carolan), Pete (Wilkins) and Jimmy (Duffy) - they've had that whole year to grow aspects of their game too. Friendy's come in and added tweaks and touches and developed it on a bit further." After the weekend's games Connacht have been replaced in second spot in Conference A by Munster, but Friend and Farrell are still in the fight. "We're in it to win it, aren't we? There's no reason we can't go and win it," Farrell said. "Yeah, the boys are in a happy place, and I think that happens when you're winning." Cian Tracey A season, pre-season and next season-defining game all in one, the stakes couldn't be much higher for Connacht this weekend.